In Delhi, gold of 99.9 per cent and 99.5 per cent purity priced at Rs 32,250 and Rs 32,100 per 10 grams, respectively. Gold prices on Friday fell by another Rs 150 to Rs 32,250 per 10 grams at the bullion market due to muted demand, the third straight session loss for the precious metal, reported Press Trust of India (PTI). Silver too followed suit and fell by Rs 600 to Rs 38,400 per kg. The bullion market in the national capital was closed Thursday on account of 'Govardhan Pooja'. In the international market, gold traded at USD 1,219.51 an ounce and silver at USD 14.40 an ounce in New York. Bullion traders said the decline in prices was mainly due to muted domestic demand and weak global trend. 2. In Delhi, gold of 99.9 per cent and 99.5 per cent purity priced at Rs 32,250 and Rs 32,100 per 10 grams, respectively. 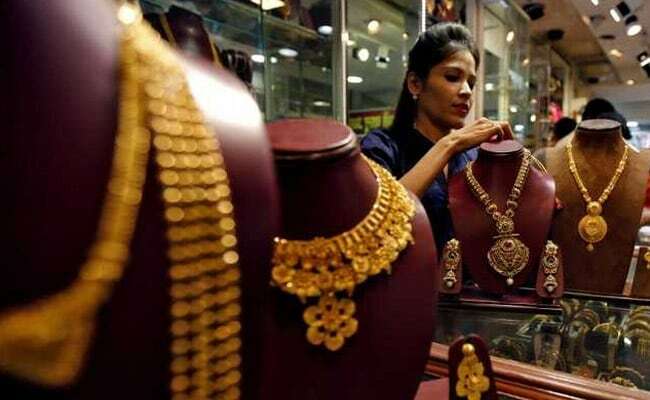 Gold prices had dropped by Rs 210 to Rs 32,400 per 10 grams during special 'Diwali Muhurat' trading at the bullion market on Wednesday. 3. Sovereign also weakened by Rs 100 to Rs 24,700 per piece of eight grams on Friday. 4. Similarly, silver ready rates fell by Rs 600 to Rs 38,400 per kg and weekly-based delivery dropped by Rs 558 to Rs 37,570 per kg. 5. Silver coins too went down to Rs 75,000 for buying and Rs 76,000 for selling of 100 pieces.